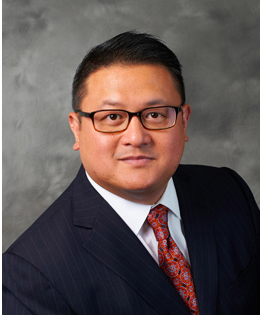 You are at:Home»Execs to Know»2019’s Top 25 Execs to Watch: Richard Y. Pineda, SPEAR Inc.
2019’s Top 25 Execs to Watch: Richard Y. Pineda, SPEAR Inc. The union between CALIBRE and SPEAR, Inc., was one of CALIBRE’s major achievements for 2018. Separately, the two organizations provided complementary management consulting and IT solutions. The company successfully delivered on three tenets of its business: “Sustain, Leverage and Grow.” Winning recompetes, architecting solutions based on lessons learned, and pursuing new opportunities that accomplish client mission and drive enterprise value completes the holy trinity of CALIBRE’s modus operandi. With the President’s Management Agenda directing agencies to increase spending on Best-In-Class contracts, CALIBRE will seek to shape, pursue and deliver on specific BIC vehicles. In parallel, it’s actively seeking to on-ramp, acquire, and/or win target BIC contracts wherein its potential clients will release desired work. Unlocking the synergy of the CALIBRE/SPEAR acquisition to transcend the middle-market tier will be a key focus area in 2019. The Defense Department, health care and intelligence markets are all key areas for growth, supported by CALIBRE’s investment of resources in technology.